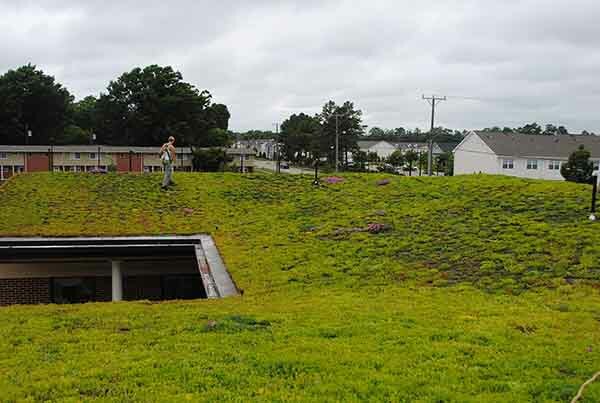 Fort Eustis Army Base - Soldier and Family Assistance Center | public | Living Roofs Inc.
A 10,000 square foot building devoted to veterans and their families. 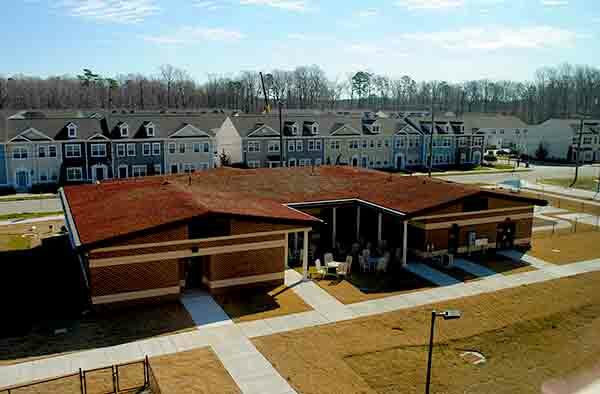 This 10,000 square foot building strengthens the Warriors in Transition Program at Fort Eustis, Virginia – upon returning from deployment, veterans and their families will receive assistance here as they transition to life back at home. The horseshoe-shaped green roof roof is visible from the ground due to the 2:12 slope. A southern-grown, pre-vegetated mat system was installed to minimize both soil erosion and overall load. 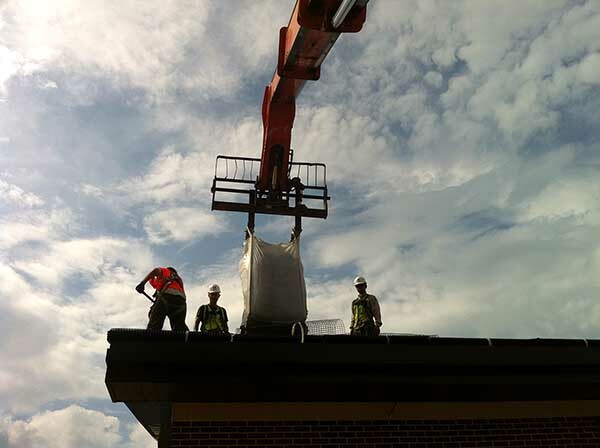 An erosion control fabric was also installed to minimize erosion and slippage.